Hi Honeybear readers! We are so excited to be here today visiting you all! We love Heidi! We met her a few years ago when she still lived in our sunny state, AZ! 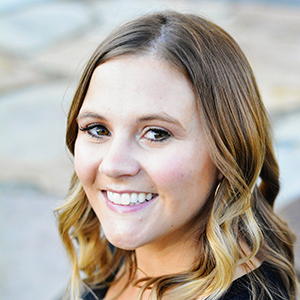 She’s now back in chilly Utah loving the winter and we miss her dearly!! We’re Kristi and Kelli from Lolly Jane! A DIY/Home Improvement blog full of tips and tricks from painting furniture to crafting and even a tasty dessert along the way. We love sharing our tutorials! 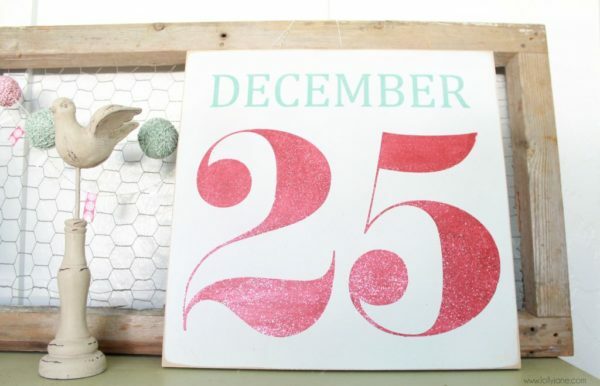 Today we will be showing you how to make a super cute and easy Christmas sign that can be made for under five dollars! We’re always on the hunt for easy and inexpensive creations, gotta save the real money for Christmas shopping! 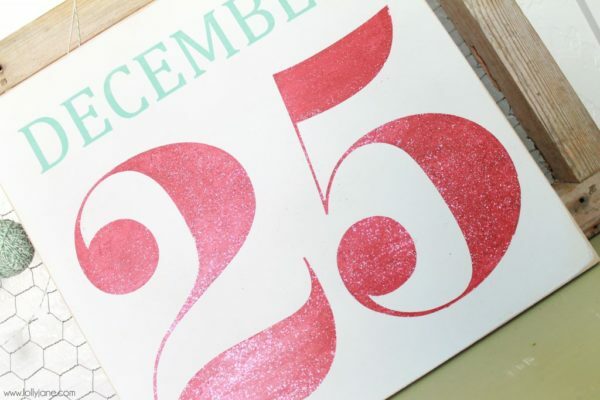 (; These really are such simple and easy Christmas signs to get ready for the holidays! Directions: Begin by cutting your piece of wood. I got mine at Home Depot in a 4’x8′ sheet and cut it down to 16″ x 16″ so it costs less than $2/board! Paint the front of your board white and let it dry. Then you design, cut and weed your vinyl. 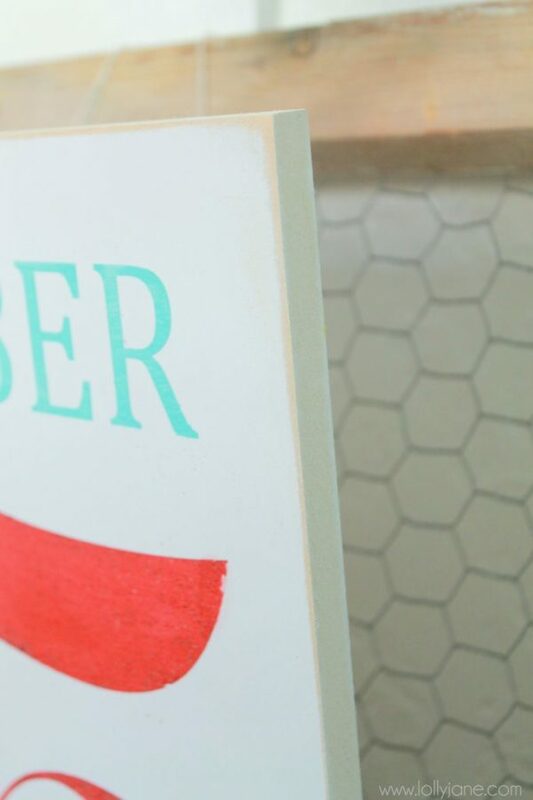 The technique can be found here, we use our cutter as a stencil instead of using vinyl colors. The DECEMBER font is Cambria Math (not a free font but it should be in your computer as it’s a standard Microsoft font) and the 25 is Pistilli, get it free here! 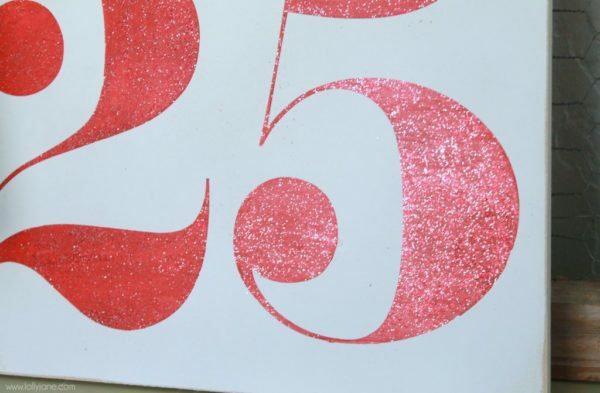 We then used aqua and red plus coated the “25” with another layer of glitter red acrylic to give it a shine! After it’s dry, poly it and you’re good to go! Pretty easy! 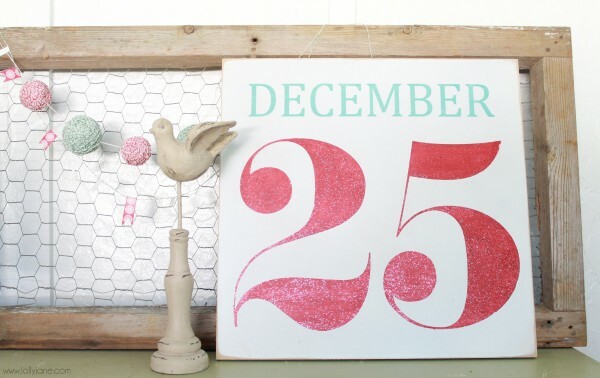 Pair it with our bakers twine and washi tape garland and you’ve got instant cheap and easy Christmas decor!